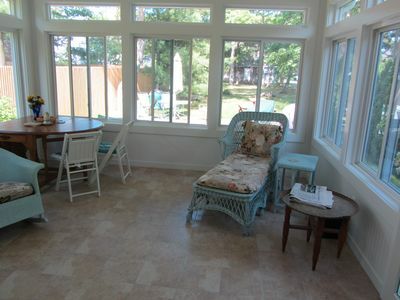 Falmouth, 3br Bungalow Steps From Sandy Beach. 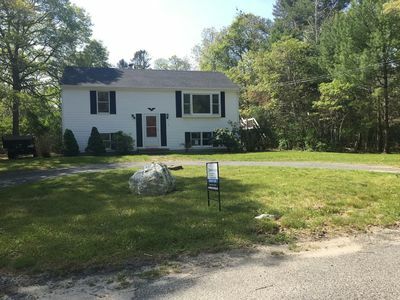 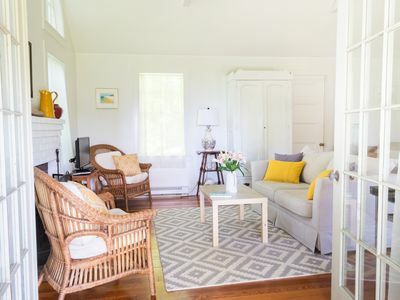 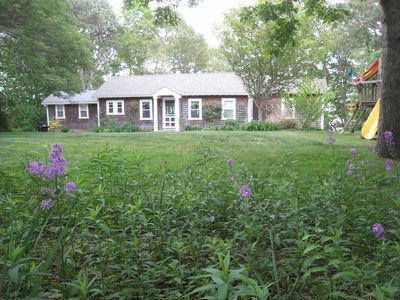 3 bedroom renovated cottage steps from a private sandy Association beach located on one of the "best" swimming fresh water ponds on Cape Cod. 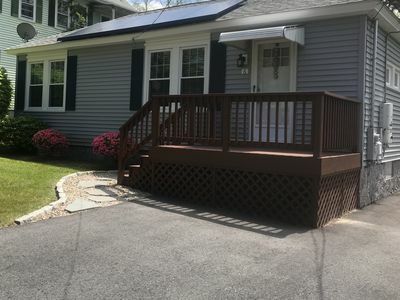 Living room with tv and internet, kitchen with eating area, large deck, and full laundry facilities new lower patio and outdoor shower. 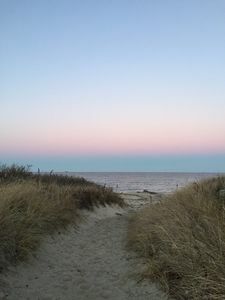 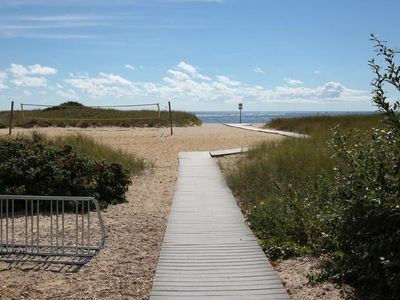 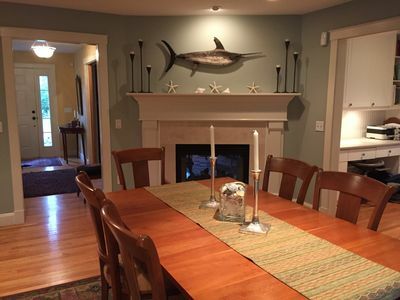 Within ten minutes of 7 town ocean beaches, including Old Silver beach and Chappaquoit beach, also minutes from downtown Falmouth with many great shops and restaurants and catch the ferry to Martha's Vineyard and Nantuckett. 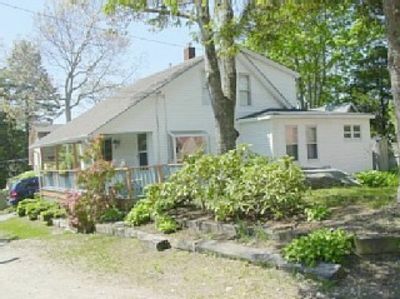 Update with central AC 4 Bedrms-2 Baths-fenced yard, great location! 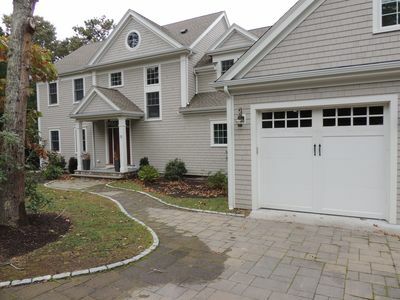 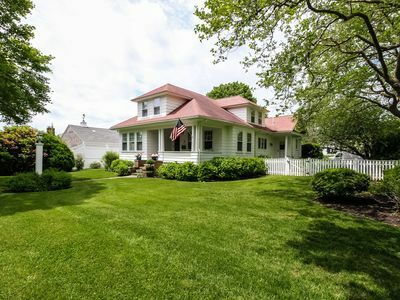 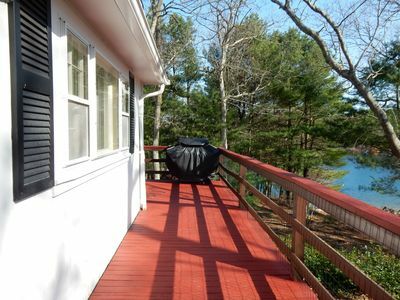 Walk to private beach and kayak on Great Pond from this roomy Belmar Cape!